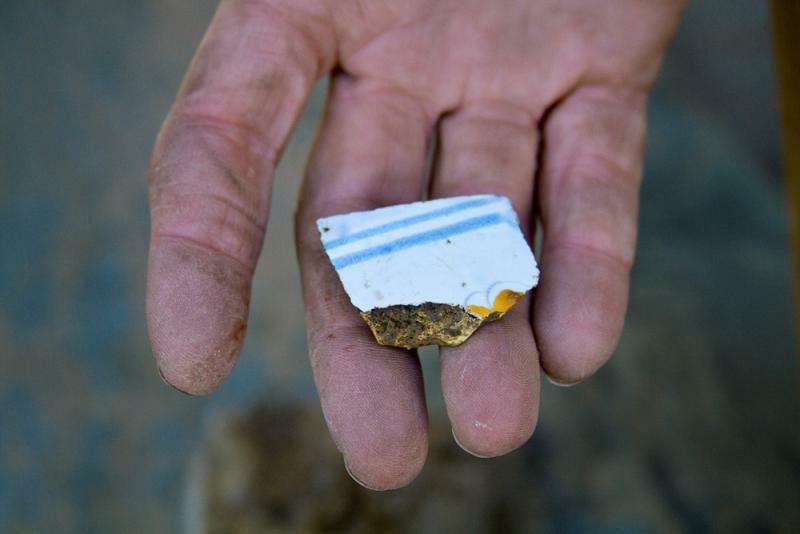 A piece of tin enameled ceramic from the colonial period found in the archeological dig below site below the Poplar Street Bridge. It is likely a Spanish ceramic of polychrome majolica. 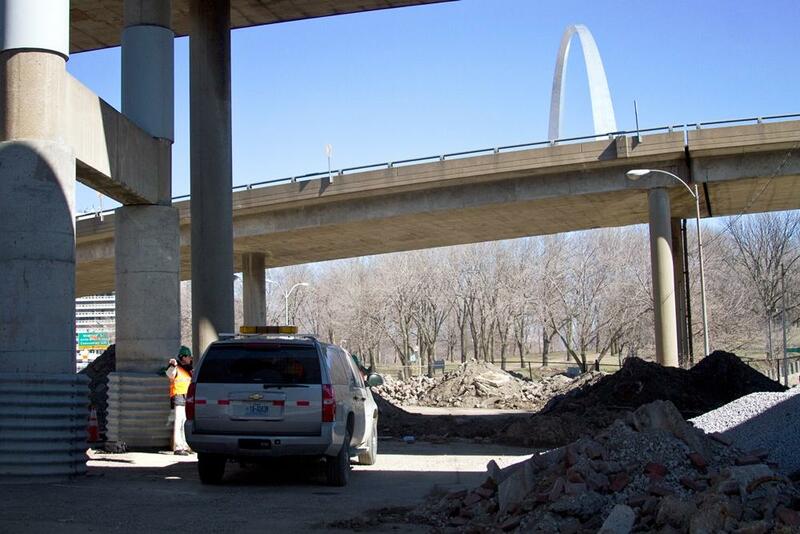 MoDOT archeologists survey an archeological dig site below the Poplar Street Bridge in St. Louis. The archeological dig site is two blocks south of the Arch grounds underneath the Poplar Street Bridge. “I’ve been working in archeology for approximately 22 years and in that time I’ve done a great number of different archeological sites from Civil War battlefields to colonial plantations, and I feel that this excavation is probably the most significant thing that I have ever personally worked on or seen done,” Meyer said. 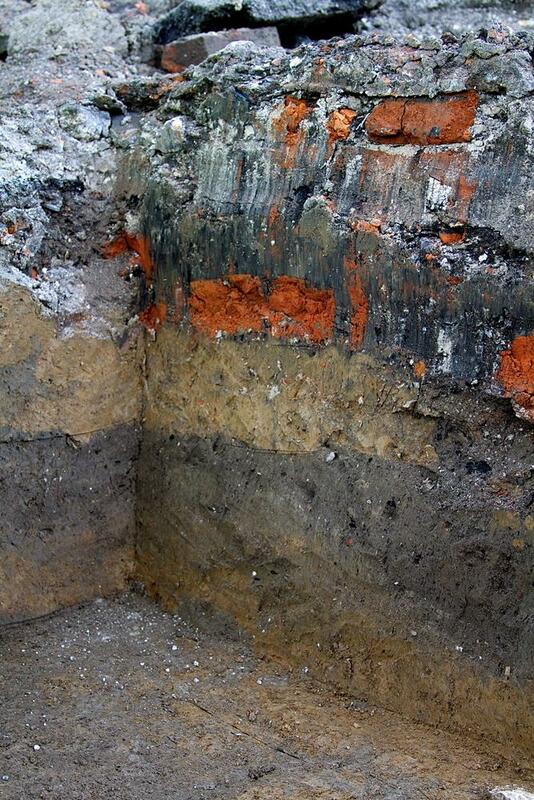 Meyer and his team have found the first evidence of where a French colonial home once stood. The darker, trench-like formation in an approximate 25 by 30 foot hole shows where a series of wood posts were built to form a house wall. The French built homes with vertical wood posts, as opposed to the Anglo-American style of horizontal log cabins. A cross-section of the archeological dig site shows three phases of development in St. Louis. The cross-section of development with concrete on top, brick in the middle, and discolored dirt on the bottom demonstrates development across centuries, common to the way other big cities have developed. In a similar hole in the ground a few dozen feet away from the location owned by Riviére was found another house, but one owned by a man of lesser means. At that site, archeologists found what looks to be part of a bowl, a piece of tin-enameled Spanish majolica ceramic. 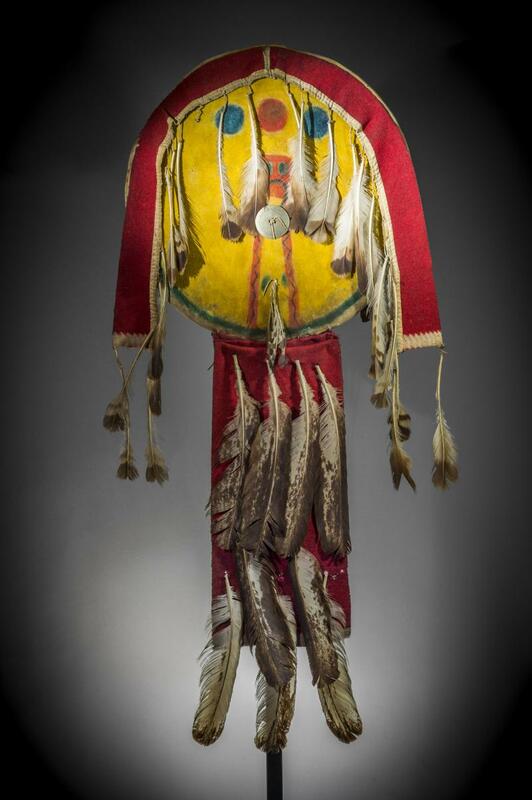 According to Fred Fausz, a history professor at the University of Missouri-St. Louis who specializes in colonial America, the archeological discovery is important because it confirms written evidence that St. Louis was a major commerce center and that many of its residents were well off. A conversation on "St. Louis on the Air" about the archeological discovery featuring Michael Meyer, Bob Moore and Alex Heuer. Why was this history lost? People have lived in the St. Louis area for a long time. Just across the Mississippi River is the center of Cahokia Mounds, an ancient city of native North Americans. Scholars think that, about 900 years ago, it was the largest city north of Mexico. Archeologists, with the help of being able to see large earthen mounds, have better documented some of the history of the ancient Mississippian culture. And recent archeological discoveries made as a result of construction of the Stan Musial Veterans Memorial Bridge have identified an ancient suburb of Cahokia. Meyer of MoDOT said the findings of St. Louis’ colonial past are significant because they were lost as the city became so heavily populated. Then, in the 1930s, to make way for the Jefferson National Expansion Memorial and the Gateway Arch, nearly 40 city blocks where the original French settlement would have been were razed. Plans for new construction, led to the find. MoDOT will be doing major work to the interstate ramps and the National Historic Preservation Act of 1966 requires an archeological investigation be conducted before construction can begin. 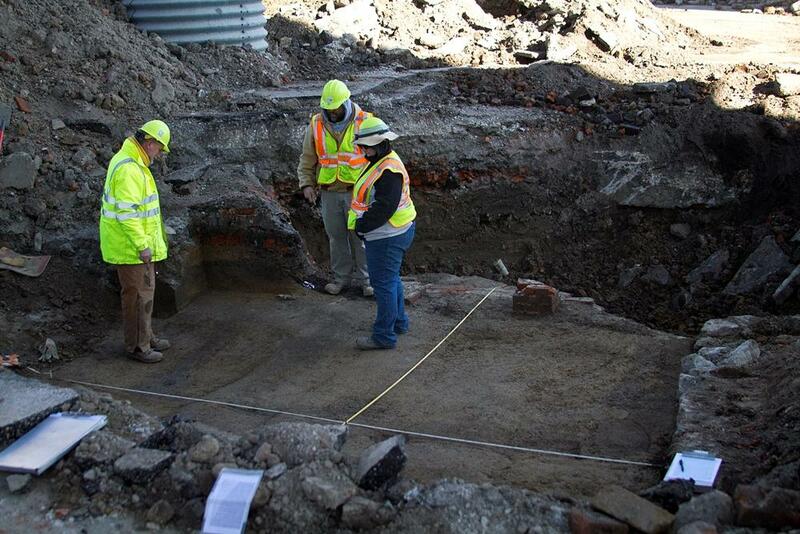 Since June 2013 archeologists have been at the site on-and-off working on two city blocks. The Poplar Street Bridge was constructed before the federal law was approved. To listen to the audio story that aired on NPR's "Morning Edition," click here. 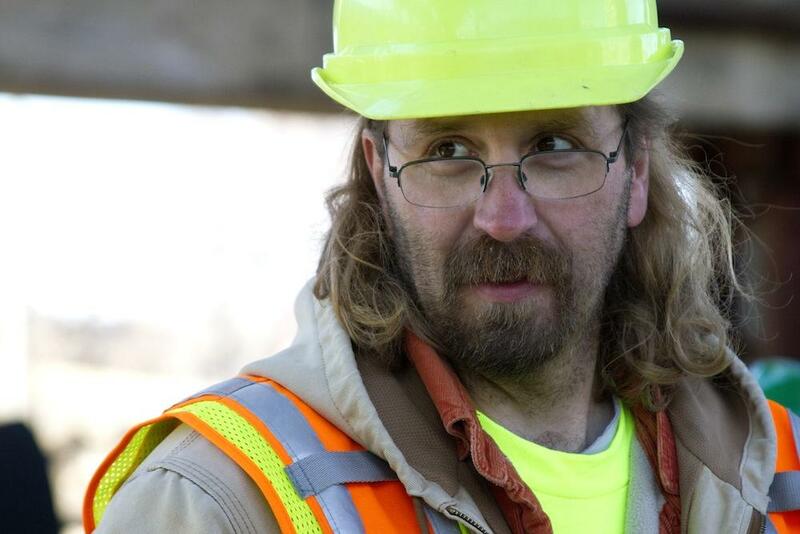 Archeologists will likely conduct more surveys in the areas under the Poplar Street Bridge this summer. The dig sites from the most recent finds are now covered up. 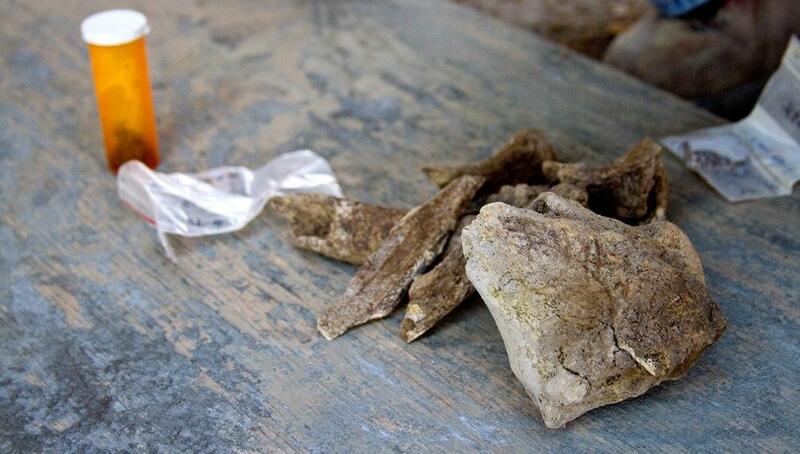 Unidentified pieces of animal bone, remains of what the early people of St. Louis consumed. Bob Moore, the historian of the Gateway Arch for the National Park Service, sees the significance of what’s been found. He said finding any remnants of St. Louis’ past is exciting. MoDOT and the National Park Service, which controls the museum beneath the Gateway Arch, have already agreed that some of the newfound artifacts will be displayed in new museum exhibits, which won’t likely open until 2016 as part of CityArchRiver. Moore said he hopes the new exhibits will do a better job in conveying the story of why the Gateway Arch was built along the riverfront. 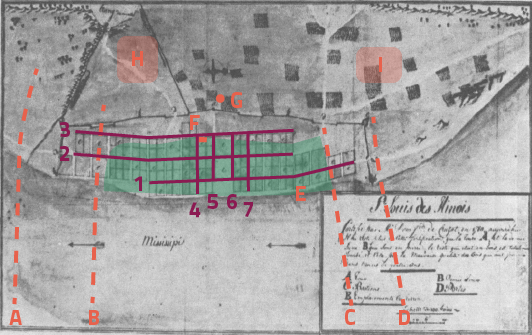 The discovery of the first physical evidence of colonial St. Louis is especially fitting as St. Louis area residents continue their yearlong celebration of the 250th anniversary of the city’s founding.